In November 2013 this young Italian band released an EP called Mediocrazia featuring four songs. Three years later they have released their first full length album Antropocene. The result is an extension of what they started with their EP. Now with a full fledged album of eight songs, they have developed into a band worthy of note. 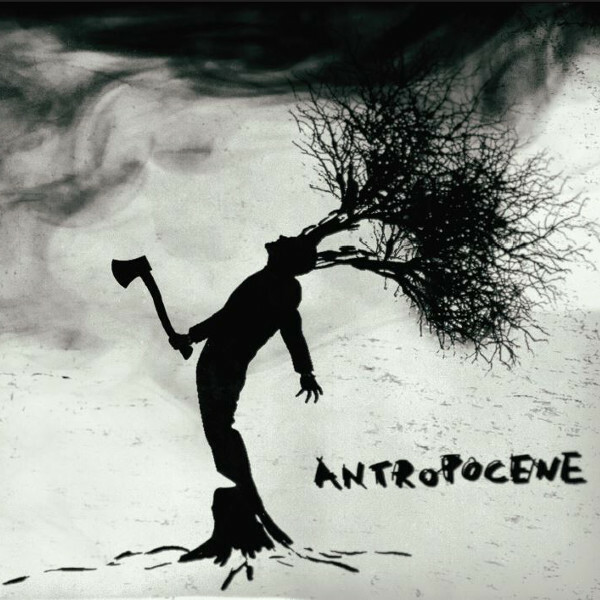 The title Antropocene is Italian for Anthropocene, a term for our current geologic age with humans being the dominant influence. The album opens with “Al Crepuscolo dell’Anima,” a dark progressive track with strong chords, drums, quiet interludes, and melodic guitar lines. The track closes with a sound bite from JFK’s address to the American Newspaper Publishers Association on April 27, 1961 “confident that with your help man will be what he was born to be, free and independent.” Track two is the loud and aggressive “Mediocrazia” referencing back to their EP that grows on you over the course of its seven minutes. Track three “Il Capitale Umano” shifts to progressive jazz with some cool sax, piano, and vocals reminiscent of Area and at the mid point morphs to heavy prog. The fourth track is the excellent “Tempio Pallido” that takes us back to the 70s with its classical piano lines, analog synths, and vocal harmonies that are quite like Le Orme. “Tephlon (Club)” takes us back to prog-jazz fusion land with long sax notes, some outstanding Mellotron, and heavy organ. “Il Giudice e il Bugiardo” continues with the jazz-prog fusion and is more introspective. The album closes with the title track split into two parts. Part 1 is two minutes of sustained piano chords and vocals while Part 2 incorporates crowd noises that are on the edge of hearing, Frippertronics, sustained organ chords, and analog synths. Overall a very strong set of music for a second release.